Backpacking Philippines: Centris Weekend Market Food Trip, Anyone? Centris Weekend Market Food Trip, Anyone? 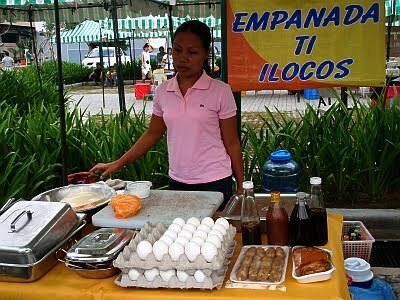 A new weekend market in town held every Saturday morning at Centris Walk organized by Sidcor, the same minds behind the Lung Center Sunday Market that's been attracting well-heeled shoppers to the Lung Center of the Philippines compound, the Centris Weekend Market is still on infancy stage that when Tutubi checked it out recently, there were only a few food stalls, a native handicraft tents and the usual tiangge you'll find in the metro. On closer scrutiny and interviews by Tutubi with the stall keepers, they're the same stores you'll see at the Lung center the following day and some also have concurrent presence down south in Makati's Salcedo Weekend Market (but not much in Legazpi Sunday market due to it's more upmarket clientele). 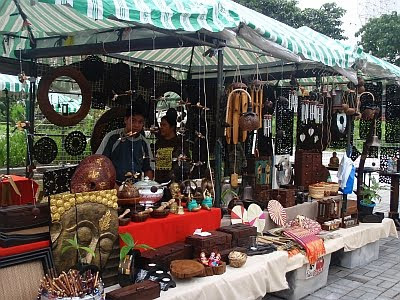 What can you find at Centris Weekend Market? 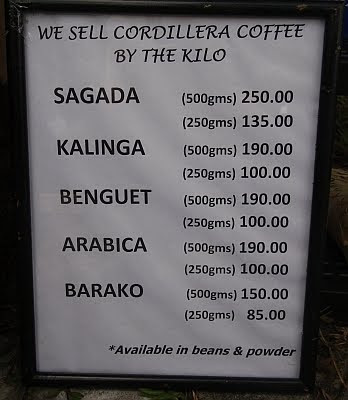 Tutubi bought kakanin (puto, sapin-sapin and kutsinta), asked around for some cordillera coffee (sagada, benguet and kalinga) at Republika de Kapay plus some healthy finds at Uncle George's gourmet breads. Centris Walk has the potential to develop in time as it has lots of FREE parking slots available (even stall rentals for those with entrepreneurial spirit), something it has to its advantage over the Lung Center Sunday Market and probably the looming Christmas season when Christmas bazaars sprout all over the place. This weekend market will form part of Tutubi's routine as Tutubi Jr. loves to walk like a drunkard under Centris Walk's giant mushrooms, wander in the playground, ride the train and carousel. The bump cars and laser extreme are not yet operational. Centris Walk weekend market is open from 6am til 2pm every Saturday. Lots of restaurants are also already open at Centris Walk: Shakeys, Pho Hoa, Tutti Frutti frozen yoghurt, Coffee Bean and tea Leaf, Jack's Loft, Italiannis, Pancake House, Zong, Claw Daddy Crab House and American Grill, Asya, My Thai Kitchen et al to satisfy your food trip curiosity. 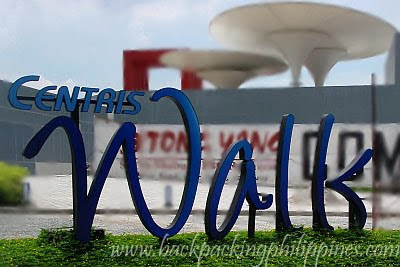 Centris Walk is connected to MRT Quezon Avenue station via Centris Station mall. For those commuting, it can be reached from Quiapo via Fairview-bound jeepneys. For Makati, any northbound bus on EDSA can be taken (e.g. Monumento, Novaliches, Malanday except those going to Fairview (they turn right to East Avenue and won't pass by EDSA corner Quezon Avenue). Oooh may weekend market pala dun. So sila pala ng Lung Center ang equivalent ng Salcedo and Legaspi Weekend markets ng Makati. Do YOU (or someone you know) want to set up a business this Holiday Season? :) The famous LUNG CENTER BAZAAR is again open and is currently accepting reservations!! Only a few slots left! So place your reservation now and start earning beyond your expectation!!! *Bazaar will start this 12/10/10. Send me a message here on facebook or text me if you are interested. 09222566530 Thanks. :) HAPPY HOLIDAYS! nadadaanan ko lang to. Sana one of these days mapuntahan ko.